Rafael Moure-Eraso took his place as Chair of the U.S. Chemical Safety Board (CSB) on June 23, 2010. 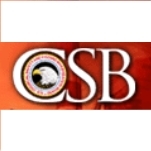 The CSB is an independent agency dedicated to investigating industrial chemical accidents and making prevention recommendations to the industry and its regulators. Moure-Eraso’s appointment was considered a counterbalance to the pro-industry members who were appointed by President George W. Bush. Dr. Moure-Eraso was born May 2, 1946, in Colombia. He earned B.Sc. and M.Sc. Degrees in Chemical Engineering from, respectively, the University of Pittsburgh in 1967, and Bucknell University in 1970. He also received an M.Sc. and Ph.D. in Environmental Health, Industrial Hygiene, from the University of Cincinnati in 1974 and 1982. From 1973 to 1988, Moure-Eraso worked as an industrial hygienist engineer with the U.S. union offices of the international Oil Chemical and Atomic Workers, and the United Automobile Workers. In 1985 he received his certification as an Industrial Hygienist for Comprehensive Practice. That same year, he gained his U.S. citizenship. 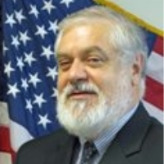 Between 1994 and 1995, Moure-Eraso served at the U.S. Department of Labor as special senior advisor on prevention of chemical exposures to the Assistant Secretary for Occupational Safety and Health. From 1996 to 1997 he worked at the Swedish National Institute of Working Life as a visiting scientist in the Division of Toxicology. Moure-Eraso was a member of the University of Massachusetts Lowell faculty for 22 years, including 12 years as an Associate Professor, and 10 years (since 2000) as Professor and Graduate Coordinator for the Department of Work Environment in the School of Health and Environment. He was also a Visiting Lecturer in Occupational Health at the Harvard School of Public Health from 1993 to 2000. He has been a member of the National Advisory Committee on Occupational Safety and Health for OSHA, the Board of Scientific Counselors of the National Institute for Occupational Safety and Health, the National Advisory Environmental Health Sciences Council, and the Board of Scientific Counselors to the National Toxicological Program for the National Institute of Environmental Health Sciences at the National Institute of Health. Moure-Eraso is married to Laura Punnett, Sc.D., a professor at the Department of Work Environment, University of Massachusetts Lowell. The couple has two sons.